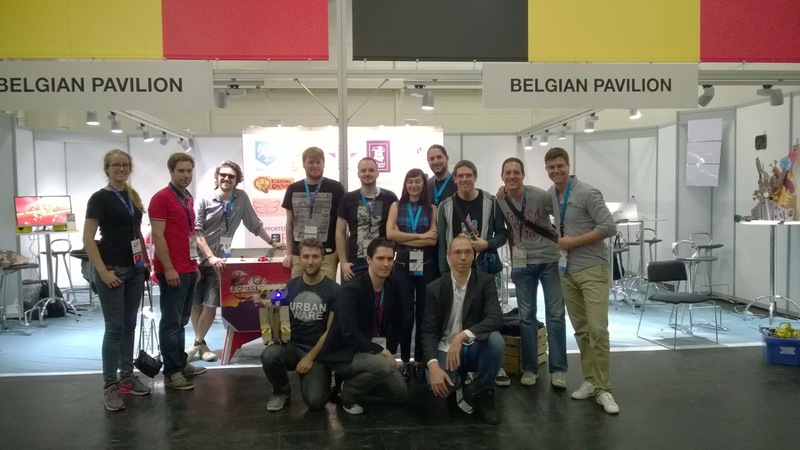 Gamescom big success for Belgian devs! We’re back from Gamescom and we couldn’t be happier with the results of our presence this year! The Belgian Pavilion was visited by a large number of interested parties, which led to some great networking opportunities and ample attention from both the specialised gaming and mainstream press. Be sure to check out these wonderful articles and reports published on De Tijd, Datanews (Knack) and RTL (links in Dutch and French). 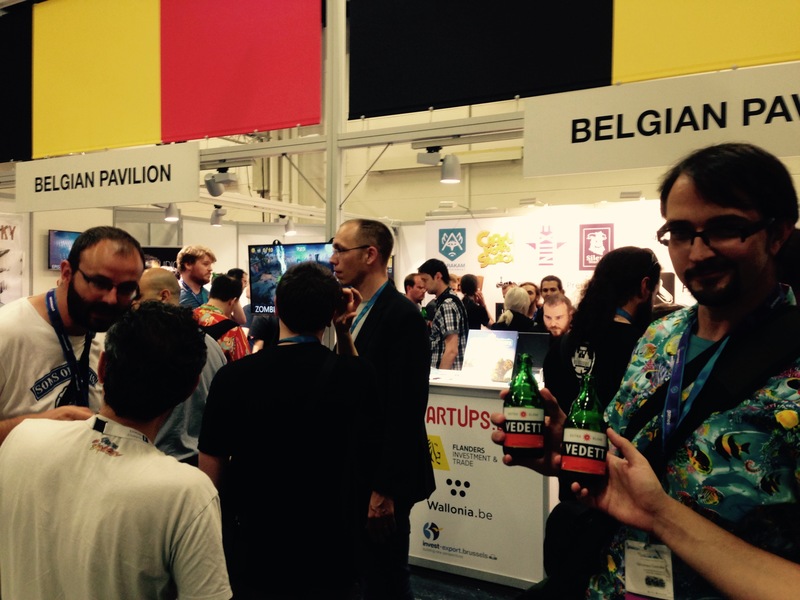 With more than 300 participants our Belgian Beer Cafe was also a big success. Nothing beats a casual drink and a chat when it comes to networking. We would like to thank all of you for dropping by! Besides the 12 amazing Belgian studios gathered on the Belgian Pavilion, some other Belgian developers made a lasting impression on Gamescom visitors. Fishing Cactus introduced its game Epistory to a large audience in the Entertainment Area (= the area open to the general public) and Larian Studios showed off Divinity: Original Sin Enhanced Edition in both the Business (Focus Interactive Booth) and Entertainment Area (Deep Silver Booth). Also very noteworthy: proud FLEGA member I-Illusions (Dirk Van Welden) won Pocket Gamer‘s esteemed Big Indie Pitch with Element4l. Congrats! For those who like figures: Gamescom was bigger than ever. 345,000 people (from more than 96 countries) visited the convention, that’s 10,000 more than last year! The number of exhibitors also went up considerably. From 703 last year, to 806 this year. There is no denying it: Gamescom has confirmed its position as the industry’s European platform and you can count on it that FLEGA, its much valued partners and the Belgian Pavilion will be present next year as well! See you there! 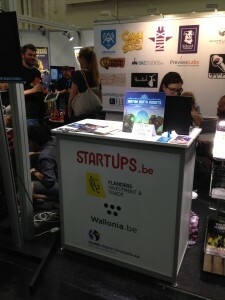 Belgian Pavilion and Belgian Beer Cafe in association with Startups.be and WALGA, with the much appreciated financial support of Flanders Investment & Trade, screen.brussels and Wallonia.be (AWEX).